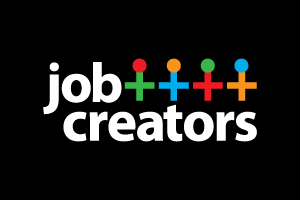 The California Chamber of Commerce has released its list of job creator bills, calling attention to 15 bills that will improve the state’s job climate and stimulate the economy. SB 1069 (Wieckowski; D-Fremont) Increases Housing Supply — Creates and expedites additional housing supply by streamlining the permitting process for Accessory Dwelling Units through reduced parking requirements, expedited procedural processes, and allowing ADUs to be constructed within existing structures. Signed — Chapter 720, Statutes of 2016. SB 985 (Berryhill; R-Twain Harte) Flexible Workweek — Provides employers with the opportunity to accommodate employees’ needs as well as business demands by allowing employees to request a voluntary, flexible workweek agreement that can be repealed by the employee at any time with proper notice. Failed passage in Senate Labor and Industrial Relations Committee 6/22/16. AB 1948 (Wagner; R-Irvine) Meal and Rest Period Penalty — Reduces unnecessary litigation and stacking of remedies by specifying that the one-hour premium pay penalty for a missed meal or rest period is the sole remedy for the violation. Failed passage in Assembly Labor and Employment Committee, 4/20/16. 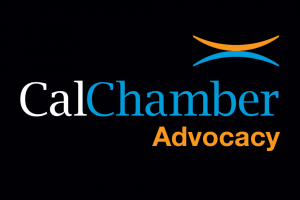 AB 2461 (Grove; R-Bakersfield) Private Attorneys General Act (PAGA) Reform — Protects against meritless litigation by focusing a representative action under PAGA to four Labor Code sections instead of the entire Labor Code. Failed deadline. Last location was Assembly Labor and Employment Committee, 4/28/16. AB 2462 (Grove; R-Bakersfield) Private Attorneys General Act (PAGA) Reform — Reduces meritless litigation costs by allowing an employer 33 days to cure any alleged Labor Code violation before a civil action may be filed. Failed deadline. Last location was Assembly Labor and Employment Committee, 4/28/16. AB 2463 (Grove; R-Bakersfield) Private Attorneys General Act (PAGA) Reform — Reduces meritless litigation costs by capping the penalties an employee may receive under PAGA at $1,000 per aggrieved employee. Failed deadline. Last location was Assembly Labor and Employment Committee, 4/28/16. AB 2464 (Grove; R-Bakersfield) Private Attorneys General Act (PAGA) Reform — Reduces meritless litigation costs by providing the court with discretion to dismiss a PAGA case if the court determines the employee did not suffer any physical or economic harm. Failed deadline. Last location was Assembly Labor and Employment Committee, 4/28/16. AB 2465 (Grove; R-Bakersfield) Private Attorneys General Act (PAGA) Reform — Reduces meritless litigation costs by requiring the Labor and Workforce Development Agency to investigate and review all notices filed pursuant to PAGA and issue a determination as to whether there is a reasonable basis for a civil action within 120 days of receiving the notice. Failed passage in Assembly Labor and Employment Committee, 4/20/16. AB 2827 (Levine; D-San Rafael) Product Labels — Originally limited frivolous litigation against businesses that include “Made in the U.S.A.” or “Made in California” on labels by providing such businesses with a limited right to cure any alleged minor violation. May 4, 2016 amendments removed those provisions, so CalChamber has no position. SB 269 (Roth; D-Riverside) Incentivizing Disability Access and Education — Seeks to limit frivolous litigation and claims regarding construction-related accessibility violations by providing businesses that have proactively sought to become ADA compliant with an opportunity to resolve any identified violations. Signed — Chapter 13, Statutes of 2016. Urgency measure went into effect immediately upon being signed on May 10, 2016. SB 1142 (Moorlach; R-Costa Mesa) ADA Reform — Reduces meritless litigation costs while protecting disability access by providing a business with 120 days to cure any alleged violation in a demand letter before a civil action may be filed. Failed passage in Senate Judiciary Committee, 4/26/16. SB 1228 (Runner; R-Antelope Valley) Small Business Relief — Provides small businesses with the opportunity to comply with regulations without facing devastating administrative enforcement actions and penalties, by requiring state agencies to assist small business with newly adopted regulations, create policies to reduce or eliminate penalties against small businesses who have tried to comply in good faith, and allow courts the necessary discretion to grant small employers equitable relief from overwhelming administrative orders. Failed deadline. Last location was Senate Appropriations Committee Suspense File, 5/2/16. SB 1306 (J. Stone; R-Temecula) Consumer Legal Remedies Act — Creates fairness in the application of this law as applied to the California Environmental Quality Act (CEQA) by amending it to allow a “prevailing party” to recover attorney’s fees instead of allowing only a defendant to recover attorney’s fees when the action was filed in bad faith. Failed passage in Senate Judiciary Committee, 4/26/16. AB 2664 (Irwin; D-Thousand Oaks) Increased Innovation and Entrepreneurship — Provides resources for California innovators, entrepreneurs, startups, investors, and industry and community partners, by providing the University of California (UC) with funds to expand its capacity and increase access to its innovation and entrepreneurship centers, which provide incubator space, legal services, entrepreneur training and more for researchers and other individuals looking to develop innovative solutions. Signed — Chapter 862, Statutes of 2016. SB 936 (Hertzberg; D-Van Nuys) Loan Access — Encourages creation of small business by increasing the funds available in the small business financial assistance act administered by the Governor’s Office of Business and Economic Development (GO-Biz). Signed — Chapter 713, Statutes of 2016.